When Alaska Senator Lisa Murkowski chose Bethel for a field hearing of the Senate Energy Committee, which she chairs, she had some specific points to make. 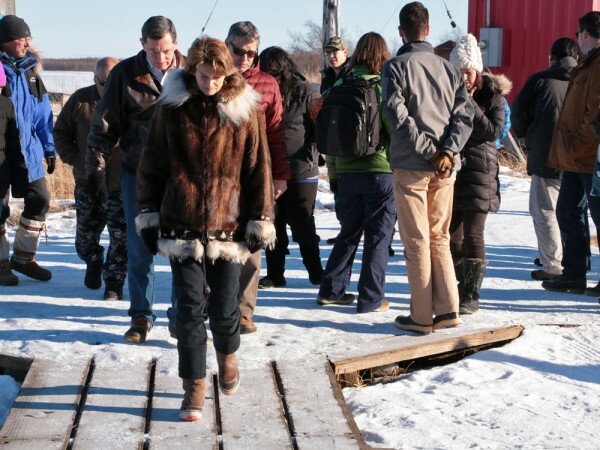 Murkowski brought five senators and U.S. Energy Secretary Ernest Moniz to the YK Delta on Monday to show her colleagues how sky-high energy costs can cripple economic development and even serve as a barrier to the installation of water and sewer systems. But, she also hoped to highlight what the rest of the U.S. can learn from rural Alaska. Murkowski didn’t just bring her guests to Bethel. 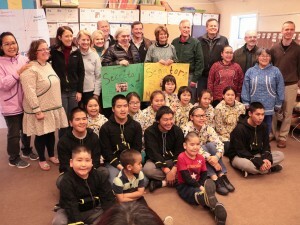 She made sure they drove down the frozen Kuskokwim River to the nearby village of Oscarville, population just about 60. The group gathered in the school – in the small high school classroom, which, Murkowski pointed out, has another use. “This is the gym, we are in the gym right now,” she said. It’s also where the kids practice NYO. “Who can do this? Why don’t you show us how this works?” Murkowski said. Freshman Trevor Mesak stepped forward for a one-foot high kick, and aced it as the crowd cheered. 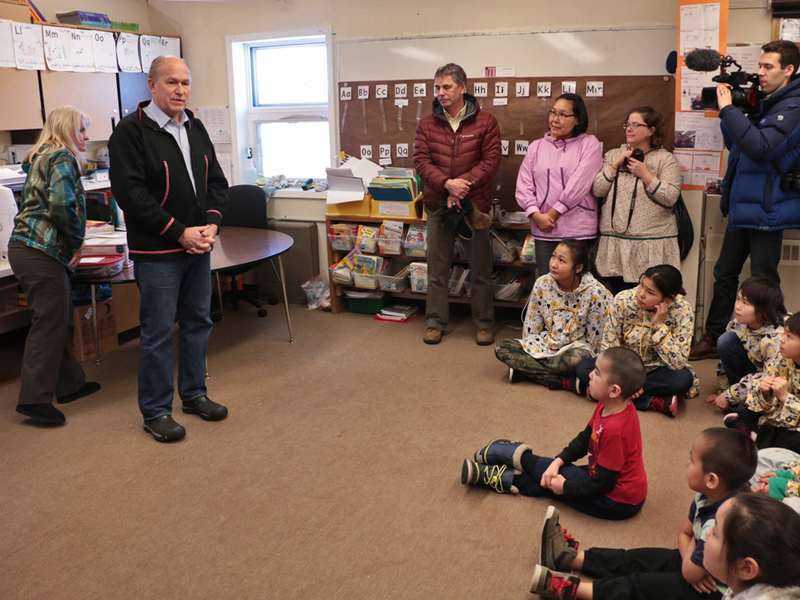 But Murkowski was focused on a much more serious show and tell. The school, she pointed out, is the only place in the village with running water and a flush toilet. And Oscarville spends too much money on energy. The answer, she says, has to be using the resources that are here. And Murkowski says, that’s the silver lining in Alaska’s high rural energy costs. The state has become a testing ground for innovative small-scale energy systems. Technology being pioneered out of necessity in remote villages – like how to incorporate wind power into a micro-grid that isn’t connected to any larger transmission system – can be modified for use all over the country. Murkowski’s major energy bill would encourage those systems. That bill is awaiting a final vote in the Senate. Her co-sponsor, Washington Senator Maria Cantwell, the committee’s ranking Democrat, was traveling with her Monday. Speaking later in the day, at the committee’s formal field hearing, Energy Secretary Ernest Moniz echoed Murkowski’s point: saying micro-grids aren’t just for isolated communities. 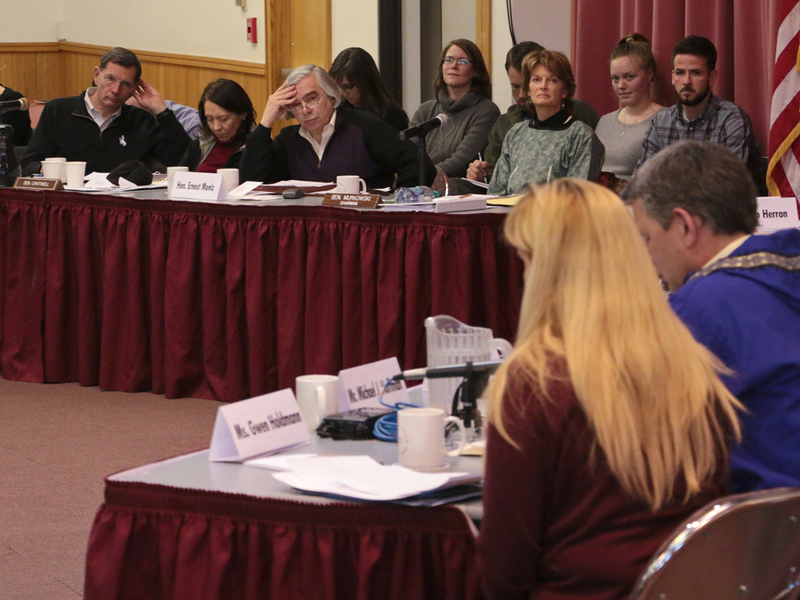 The committee also heard from a host of Alaskans, including Jack Hebert of the Cold Climate Housing Research Center in Fairbanks, who asked Moniz not to overlook the expertise the state has developed when it comes to energy in the far North. “We have the talent here in Alaska,” Hebert said. 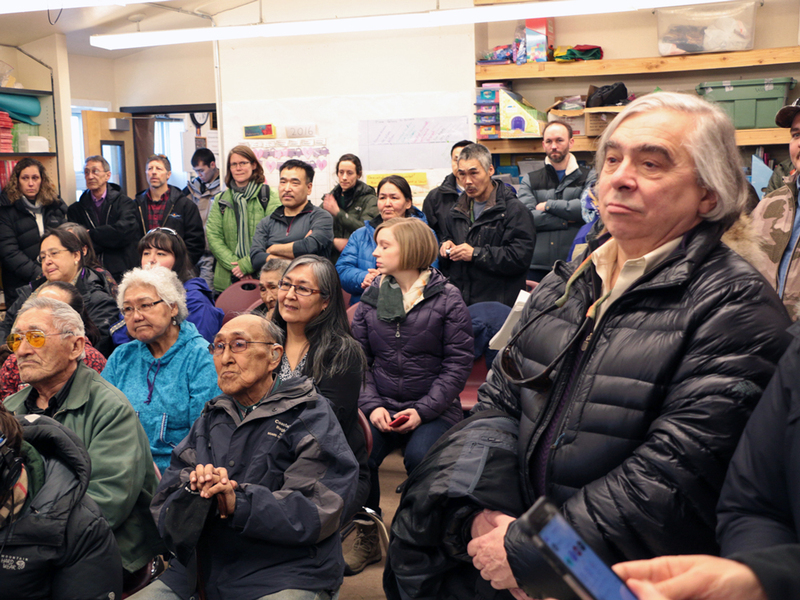 “We do find it very, very frustrating when we see others come here with the solutions, when we see the solutions applied every day by Alaskans in Alaska. While the day’s focus was on alternative energy, Governor Bill Walker couldn’t resist the opportunity to bring up the state’s more traditional energy resources. 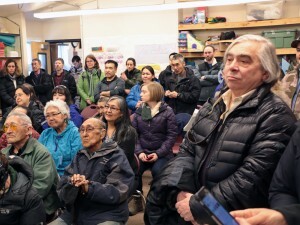 Walker told the senators that the state needs part of the Arctic National Wildlife Refuge opened to oil drilling, to bring more oil into the trans-Alaska pipeline. “I may be a bit off-topic for this committee, but when I’m sitting before 6 percent of the US Senate, I’m going to say, what I’m going to say,” Walker said. But if there was one theme to the day, it was the sheer difficulty of living with the region’s high transportation, fuel and electricity costs. The senators and Moniz heard from local leaders who encouraged them to go check out the prices at the local AC grocery store and ticked off the cost of flights to villages. Mike Hoffman of the Association of Village Council Presidents said the status quo is simply unacceptable. “This continues to leave our families to make a very tough decision every day in our region: food or fuel,” Hoffman said. For rural Alaska, he said, energy innovation is not a choice: it’s a necessity.